SHARP HOME! MOVE IN CONDITION! 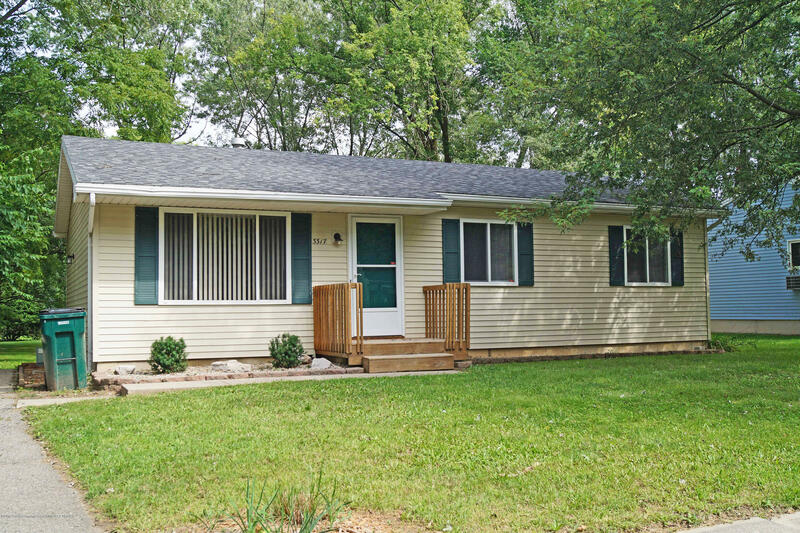 3 BEDROOMS, 1 BATH RANCH! GREAT LOCATION! NEW CARPET, NEW KITCHEN COUNTER TOPS AND FRESH PAINT THROUGHOUT! UPDATE BATH! BEAUTIFUL NEWER KITCHEN CABINETS! CERAMIC TILED KITCHEN AND BREAKFAST NOOK WITH DOOR TO THE DECK AND WONDERFUL LARGE BACKYARD, PARK LIKE SETTING! TONS OF POSSIBILITIES IN THE OPEN LOWER LEVEL! MUST SEE! TAXES ARE CURRENTLY NON-HOMESTEAD. Directions: PLEASANT GROVE/HOLMES W 1 BLOCK TO MALONEY N.